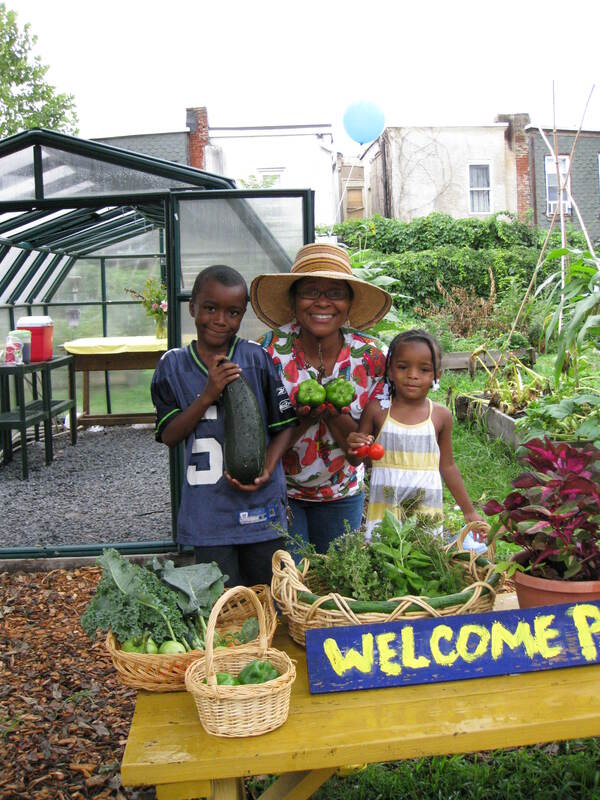 PHS is honoring the contributions of hundreds of city gardeners for their efforts in transforming their own back yards, neighborhoods and communities across Philadelphia. This year, close to 300 individuals and groups entered the 36th annual City Gardens Contest. Categories included school gardens, community parks, flower and vegetable gardens, children’s gardens, container gardens, garden blocks and – new this year – urban farms. More than 200 volunteer judges visited each site over the summer and 140 winners in 35 different categories were chosen. A full list of winners is available below. Becher will honor the winners and present several special awards, including the annual Eugene E. Smith Memorial Award, at a luncheon at the PHS Fall Garden Festival on Sept. 11 at the Philadelphia Navy Yard. Launched in 1975, the City Gardens Contest is open to all Philadelphia residents and recognizes amateur gardeners for their dedication, creativity and maintenance of gardening projects in the city. This entry was posted on September 7, 2010 at 9:18 am and is filed under Uncategorized. You can follow any responses to this entry through the RSS 2.0 feed. You can leave a response, or trackback from your own site.